Okay, if I write something about the LADEE launch, I also have to mention the other launch from NASA Wallops which has just happened today: Orbital Sciences has launched their first demonstration flight of their Cygnus freighter on top of an Antares rocket to the International Space Station! So why is this so interesting? First, because Orbital Sciences is the only one of two commercial spaceflight companies who were awarded contracts from NASA to supply the ISS in the Commercial Orbital Transportation Services program – the other one is of course Space X, who are already regularly flying to the ISS with their own Dragon transporter. Secondly, because it is the very first launch from Wallops to the space station – Space X is launching from Cape Canaveral, but Orbital Sciences has their launchport at Wallops. The first test launch with a dummy payload was in April, but now the “real thing” is on its way to the ISS, opening another cargo route to space. I think the Wallops facility can now really be called a spaceport in every sense! The post title says it all: it seems that Google is rethinking its stance against remote posting to Google+. A recent article on the main WordPress blog called Your Blog, Plus One: Connect and Share on Google+ announces that you can now share directly to Google+, link your blog to your G+ account, integrate comments and even embed G+ articles into WordPress posts. It’s the first one I’m very excited about, but at the moment all this still applies only to blog hosted on WordPress.com – however they promise that most of the features will also come to the Publicize module of the Jetpack plugin for self-hosted blogs. I just hope that most doesn’t mean that the sharing functionality will be left out! The whole point of this is that I’ve become very fond of Google+ since I joined at the end of last year. At the beginning I was very reluctant to post because I couldn’t do it directly from WordPress, but over time I’ve found out that it works very well for me especially on the Photography Blog. The interaction between the users is what I like most – it’s not just about getting +1’s, the G+ equivalent of Likes, but really meeting other people, talking about what we like and what matters to us, and, of course, lots and lots of inspiration. Posting remotely from WordPress like I do on Facebook and Twitter will not change any of that – except that I may be able to plan better ahead when I’m actually able to post automatically. This is what Google doesn’t want to allow – but I don’t see anything wrong with e.g. letting the blog post an article and then later come back and see if there are any comments to answer. I’m certainly not going to abuse that, but it would make everything much easier. I actually have one rule for myself: I will not post exclusively to Google+ or any other social network – everything that appears there will also be on one of my websites, with small exceptions like the occasional quick reshare and, of course, commenting. I may actually embed Google+ comments on my blogs in the future, because most people tend to comment on my postings over on G+ and hardly on the blogs itself – which I fully understand, because I’m also guilty of it myself. I would just like to link the WordPress postings to the comments on the corresponding Google+ article. But, in the light of what happened to CosmoQuest recently, I may decide against a direct comment integration – maybe just a backlink to the G+ article would be better if it can be done automatically. But first let’s see what happens when the next Jetpack update comes – fingers crossed that this will really include posting from WordPress! This morning at 5:27am CET, or better 11:27am EDT, there was a rocket launch to the Moon. 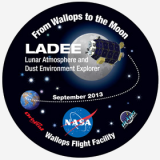 No, NASA has not unveiled a super-secret attempt to send Astronauts back to the Moon – it’s LADEE, the Lunar Atmosphere and Dust Environment Explorer! The newest lunar probe was launched not from Cape Canaveral, but from the Mid-Adlantic Regional Spaceport at the NASA Wallops Flight Facility in Virginia, which was a first for a mission leaving earth orbit and allowed millions of people on the US east coast to see it. This prompted NASA to make the night launch into a real party, because even today such spectacular launches are comparatively rare. Just about everybody was there, even the folks from CosmoQuest had two undercover agents there – both media producer Richard Drumm and CosmoQuest Academy director Matthew Francis were in Wallops, and even Universe Today writer Jason Major was able to see it from Rhode Island. Of course Universe Today has an article with many beautiful photos, which I won’t even attempt to reproduce here – let’s just say it must have been an insanely spectacular view, even if the launch reportedly happened very quickly, as is visible on the launch video from NASA’s Youtube channel. Google+ is especially buzzing with lots of articles and photos from the launch, as is Twitter – this is a time where social media really shines and citizen journalism takes over from the conventional media. After this furious start, LADEE will take its time to reach the moon in about four weeks instead of four days like the Apollo missions did, mainly to save fuel. Once there, the bus-sized orbiter will examine the lunar exosphere with three different instruments, which was partly prompted by observations made by the Apollo astronauts, who had sometimes seen a faint glow above the Moon’s surface. There’s also an exciting new laser-based communications system on board, which will allow much higher data transmission rates. The mission timing is critical, because NASA wants to have a good look at the lunar exosphere before more human missions, like the Chinese robotic lander announced for this winter, arrive and potentially disturb the Moon’s surroundings further. After a 100-day-mission, LADEE will actually do that itself: crash into the moon and maybe provide even more science with its (big?) crash. But the main point of this article is something entirely else. Why is everybody so excited about a rocket launch, these happen all the time, right? Well, here in Europe, rocket launches are completely alien to us, we simply do not have any space ports around here – the nearest one on this side of the world is actually in Baikonur! There is, however, actually a planned spaceport in the swedish city of Kiruna in north Lapland, where a company called Spaceport Sweden wants to launch Virgin Galactic’s SpaceShipTwo beginning in 2015. Other than that, there is nothing even remotely approaching a rocket launch to be witnessed around here – this is why I have never seen a rocket launch up close and probably never will be. But I’m not sad about it, because at least we are able to see a lot of launches via the Internet almost live and while a web transmission and the first-hand reports via social media will never be able to substitute the real thing, it’s much better than just reading about it in the news the next day! No, wait – of course not! There was no raging mob in the comments on the event page, just a little group of regular viewers wondering where our intrepid space journalists were – and when nobody showed up, we decided to make our own “hangout” in the comments. We just talked amongst ourselves about some space news topics and showed some photos – it was actually a lot of fun and there was no complaining, quite the contrary! 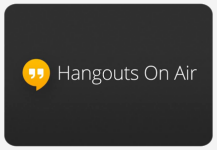 We all know how hard everyone works on producing these hangouts and although Fraser Cain and his amazing group of journalists do not really have any obligations to the viewers other than those they choose themselves, they are always very keen on bringing up a show every week. So while it has become very rare that one of the hangouts is cancelled or in this case just doesn’t happen for some reason, it’s absolutely nothing to complain about. After all, they do all this for free – although donations are always greatly appreciated. A couple of hours after the “hangout that didn’t happen”, some of the WSH and CosmoQuest folks – Amy Shira Teitel, Nicole Gugliucci and Richard Drumm – checked in and were so nice to apologize for forgetting the hangout – while this was really not necessary, it was a wonderful gesture to the crowd of viewers. So thank you everyone, again – I’ve written this before in the comments, but it can’t just be said often enough. Also, there was something even more awesome going on in the night before that I had not even noticed: there were announcements all over the place for the Atlanta Star Party happening the night before Dragon Con, but I didn’t know that it was also broadcast as an ad-hoc Virtual Star Party Hangout with all the VSP regulars and even Nicole Gugliucci, Pamela Gay and Phil Plait as surprise guests! The Youtube recording of it is a wonderful substitute for the canceled Space Hangout, and I think there may also be the regular Virtual Star Party on Sunday night.